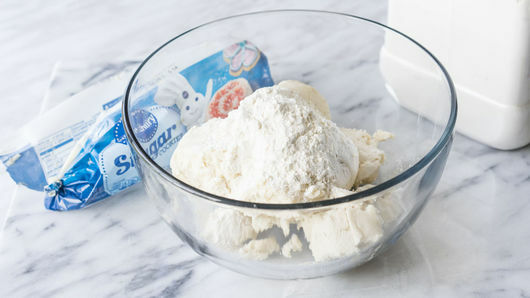 In large bowl, break up 1 roll (16.5 oz) Pillsbury™ refrigerated sugar cookie dough. Add 1/3 cup all-purpose flour; with hands, mix until well combined. 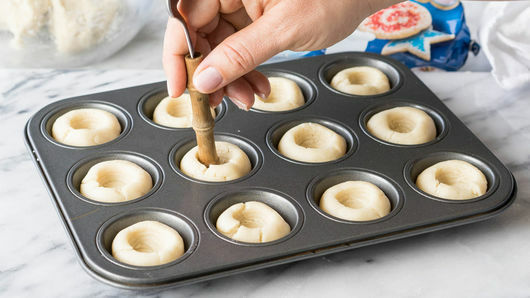 Shape tablespoonsful of dough into 18 balls; place each ball in ungreased mini muffin cup. With end of wooden spoon or dowel, create small indention in cookie dough, not going through bottom, to make a cup. Bake 14 to 15 minutes. Remove from oven. Immediately use end of wooden spoon again to gently press each into cup shape. Cool completely in muffin cups, at least 15 minutes. 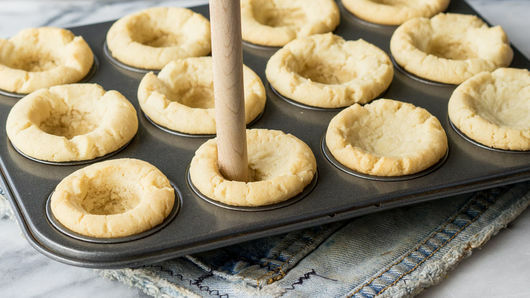 Run butter knife around edge of each cookie cup; gently remove from muffin cups. Melt 2 oz chocolate-flavored candy coating almond bark (dipping chocolate) as directed on package. Dip top of each cookie cup in melted chocolate; cool completely until set. Meanwhile, beat 1 box (4-serving size) pistachio instant pudding and pie filling mix and 1 cup cold milk with whisk until thick and smooth. 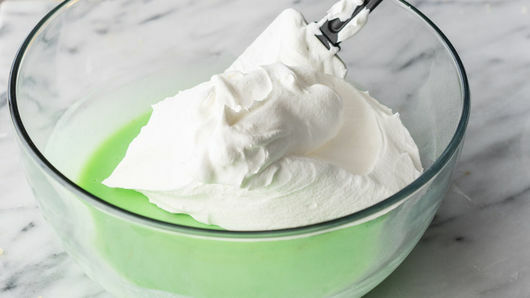 Fold in 1 1/2 cups (4 oz) thawed whipped topping. Spoon pudding mixture into resealable freezer plastic bag. Seal bag; cut off one bottom corner of bag. Pipe mixture into cookie cups. 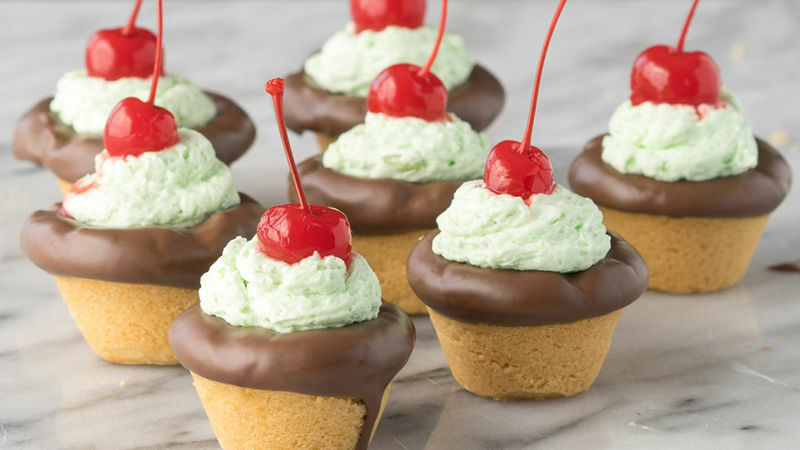 Top each with 1 maraschino cherry. 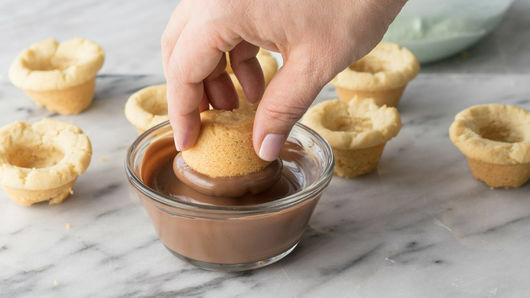 For a little more fun, sprinkle the cookie cups with chocolate sprinkles before the melted chocolate sets. 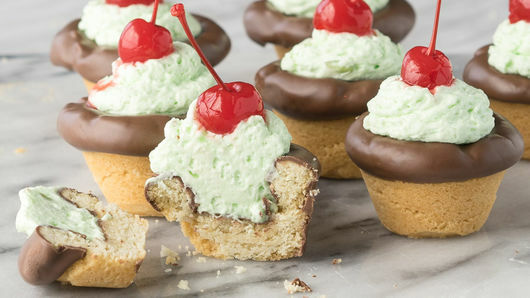 Change the flavor of the pudding mix to whatever flavor you like to completely switch up these cookie cups!